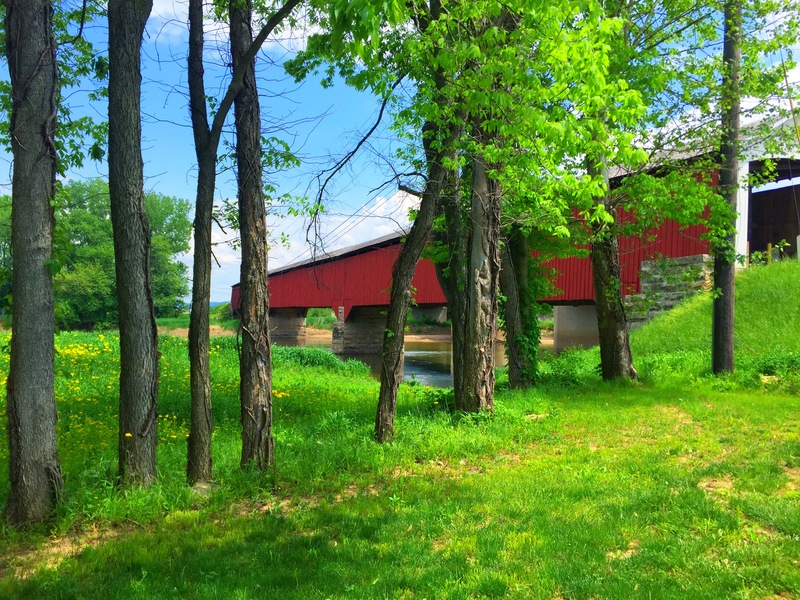 The Medora Covered Bridge is just outside the town of Medora, Indiana. 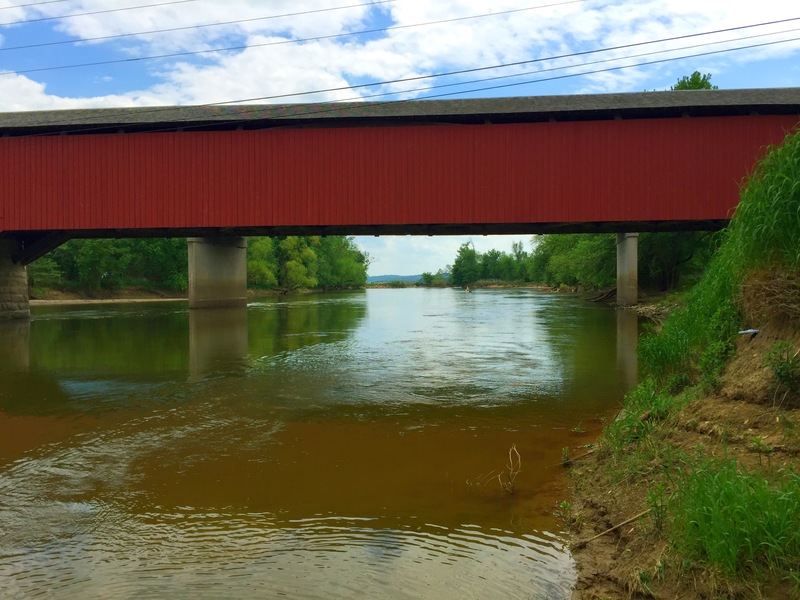 At 460 feet long, the bridge is the longest historic covered bridge remaining in the United States and the only triple span bridge remaining in Indiana. 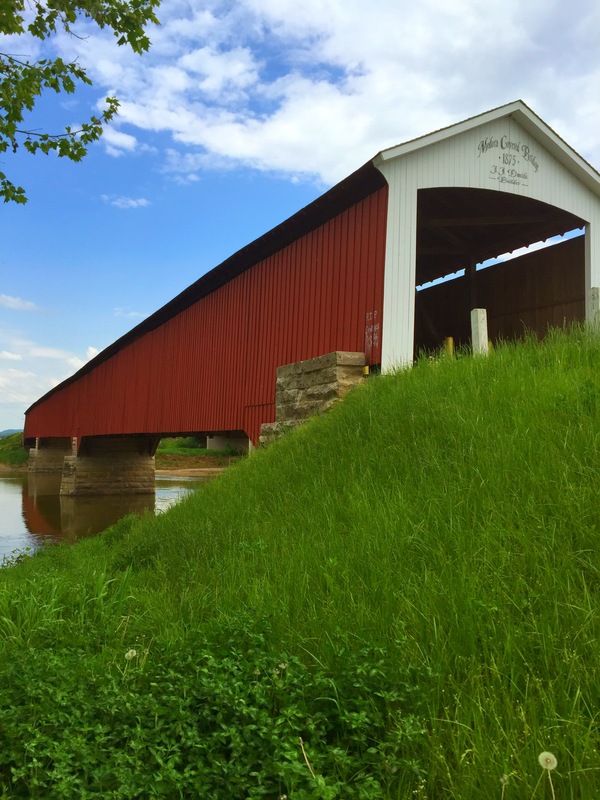 The bridge was built in 1875 at a cost of just over $18,000 to span the east fork of the White River. On the west side of the bridge, there is a small picnic area with a parking lot. Inside of the bridge is a table with some brochures and a guestbook. Be sure to sign your name. We did! The bridge closed in 1972 and is now only open to foot traffic. From the brochure we picked up inside the bridge, we saw that there was is several other sites around Medora to visit. On the other side of Medora, is the historic Medora Shale Brick Plant. 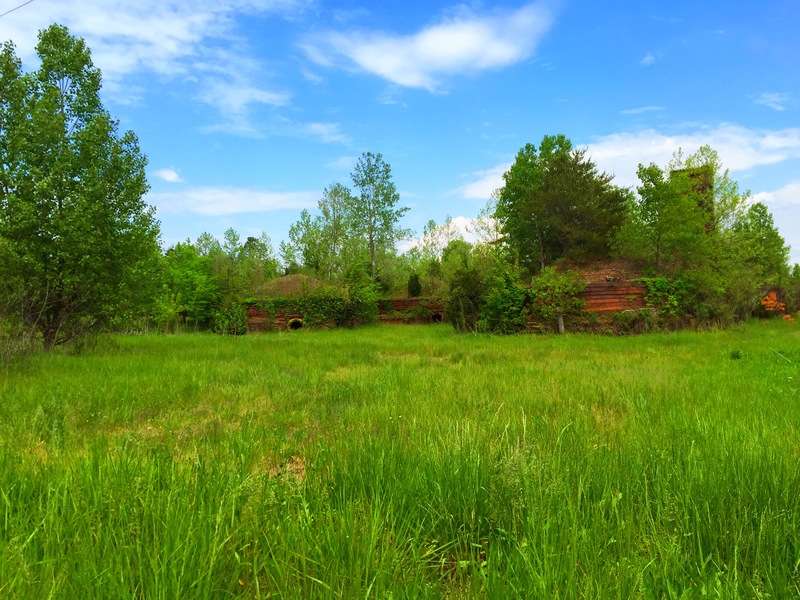 The site is privately owned, but we took a couple pictures from the road. The plant was built in 1904 and operated until 1992. 54,000 bricks were made each day by hand. 10 of the 12 original domed kilns still stand today. 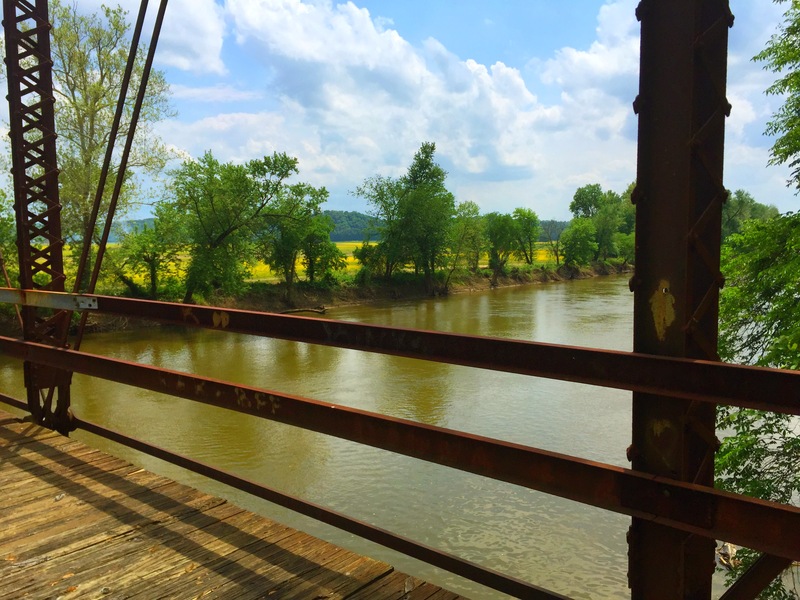 From here, we drove to the old Sparksville iron bridge. 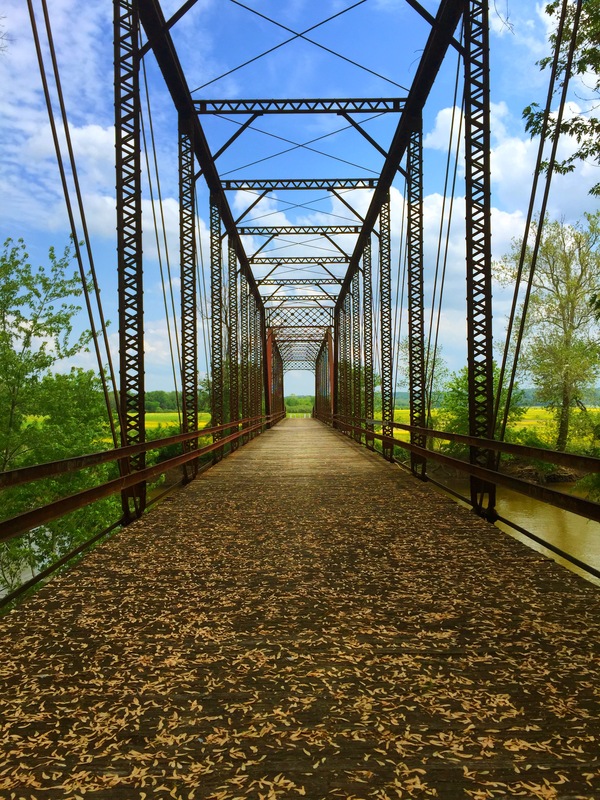 It is known locally as the Sparks Ferry Bridge and is open to pedestrian traffic only. 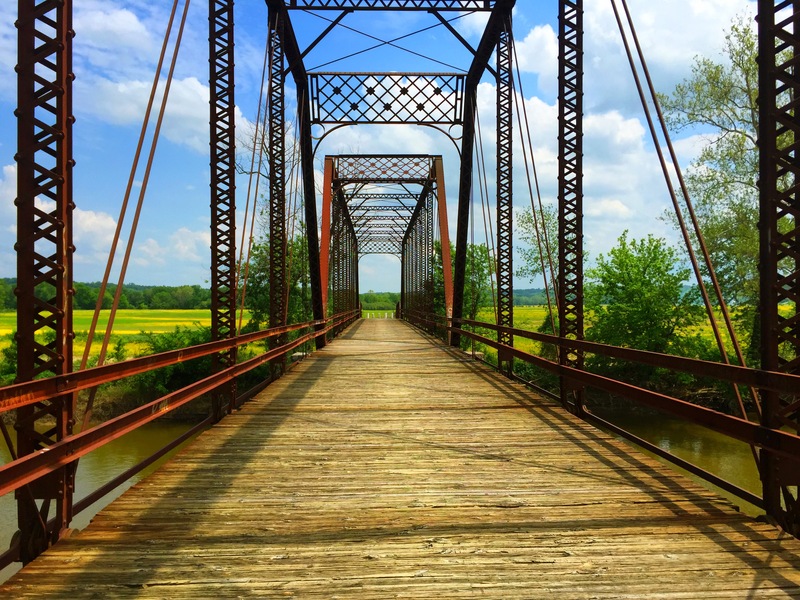 The bridge was built in 1890 to span the White River. We started driving back towards Medora and found the Stuckwisch round barn. 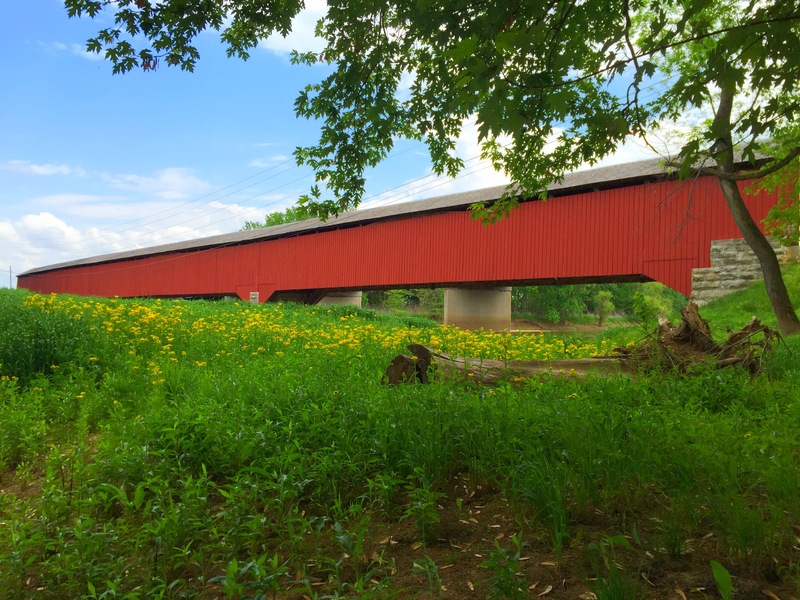 The barn is right off the side of county road 460 W.
For more information, you can visit Medora Covered Bridge website. We visited Medora while we were in the area hiking at Clifty Falls State Park. This was a great half day trip to explore some of the back roads of south central Indiana. 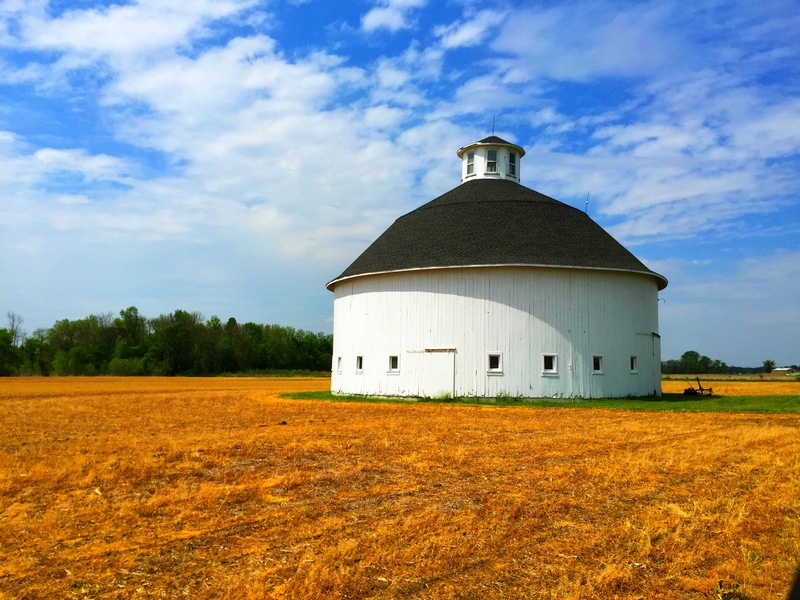 Loved teh long covered bridge, but the round barn is really neat too!